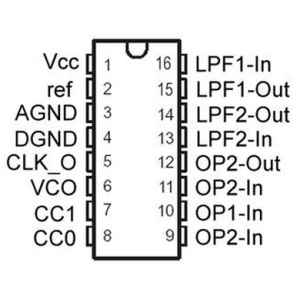 it also features an internal VCO circuit in the system clock, thereby, making the frequency easily adjustable. PT2399 boast of very low distortion (THD less then 0.5%) and very low noise (less then -90dBV), thus producing high quality audio output. The pin assignments and application circuit are optimized for easy PCB layout and cost saving advantage.